Financing For Your New Roof Project. Paying off in more than a year? Low Interest multi year. Paying off in a year or less? 12 month same as cash no interest available. 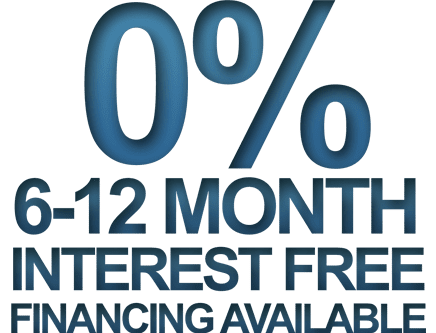 0% Interest 6-12 Month Financing Available. Low Monthly Payments With Flexible Terms. No Home Equity Requirement Personal Roof Loans Available. We've been doing roofing and construction projects for a long time and as a result we have established relationships with lenders - to your benefit. Wondering about how roof financing works? Roofing loans have a big key advantage: you get access to the capital you need to get the roofing project done immediately. This is key because when an emergency happens and your roof needs replaced and you don't have the savings available to pay for it, you're stuck with a leaking roof: a leaking or damaged roof that's costing you more money in property damage. Whenever you get financing for your roof, the final amount is always the exact amount for the total cost of the roof. While this means that you aren't going to have to worry about paying back more money than you need, it also means that getting the most accurate estimate for cost is incredibly important. Very few homeowners stay on budget during home renovation. While roofing is less prone to overspending because of work order changes than other renovation projects like the kitchen or bathroom (imagine for example, you start renovating your kitchen and decide you want granite counter tops, which changes the budget), an improper estimate will lead to unaccounted for cost, which your loan won't cover because it wasn't budgeted appropriately. That means that you're on the hook for extra cost. 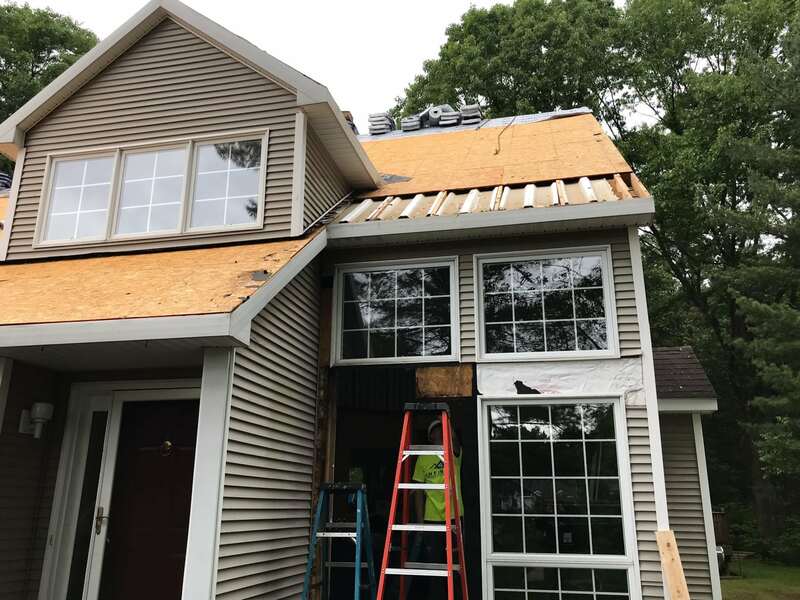 So when you're going for your new roof replacement with a loan make sure to take the extra time to go over with your estimator the options and materials you absolutely want, so that the project stays on budget without change-orders. Go through your options with your roofing estimator and get a healthy, robust estimate. This avoids issues of going over budget and leaving you with a roof loan that falls short of the total project cost. Consult your insurance policy. Many insurance policies cover damaged roofs and their cost of replacement and repair. Usually this is most common after an event like a bad storm, especially from hail and sleet or particularly harmful Nor'easters. Fire damage, fallen trees and other incidental "acts of God" are usually covered. 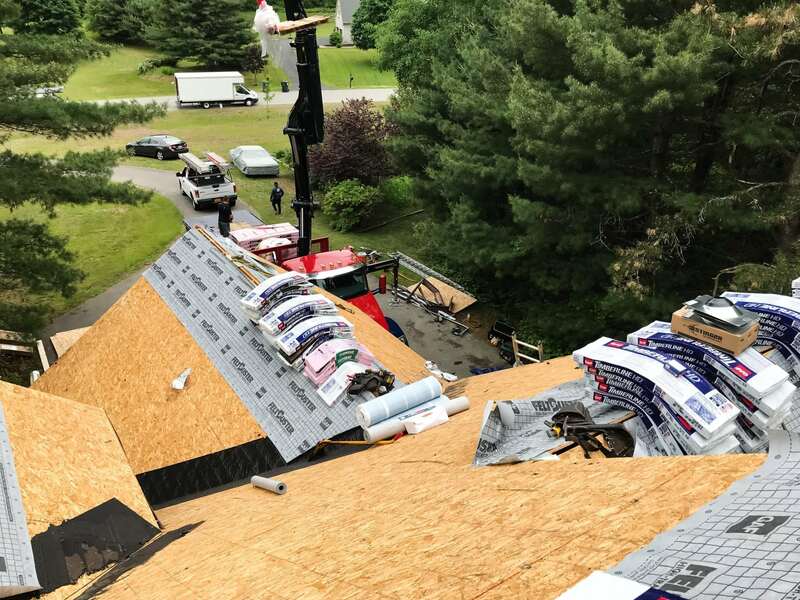 This is good news to most, because it's usually when an unexpected event happens that financing for a roof replacement is sought out and needed. It's important to note however, that insurance will typically not cover "normal wear and tear" or problems that come as a result from improper or neglected roof maintenance. And in other cases, your insurance may require a deductible before the roofing coverage comes into place, and if you do not have the cash on hand for that, partial financing is available. If you have equity built up into your home, often the easiest type of loan is to seek a secured home equity loan for your roof replacement. This is also suitable if you have a longer time frame as approval can take 4-6 weeks. If your timeline is short and you need to have major repairs done to your roof, or have the entire re roofing done soon, then a personal loan might be the best roof financing choice for you. Personal loan approval is typically much faster. Getting a secured home equity loan or an unsecured personal loan for your roofing project aren't the only options. New York State has FHA 203(k) government financing available for your roofing project, if your home qualifies. This is usually a loan that is an option during the home-buying process. In other words it's an incentive that gives buyers the advantage of "shopping for a property based on location and affordability." New York State issues them to encourage buying of properties that can be renovated or restored within a short time of the home closing period. They're popular because it allows homebuyers to add costs of renovation, such as for re roofing, into one single mortgage payment, rather than having separate loans out. You can read more about rehab loans on New York State's website. While using a rehab loan it can be hard to find companies that are willing to adhere to the banks terms. John and Maureen were very understanding, knowledgeable and willing to take on the job. Im pleased with the work John and his company provided. I had a peak roof, flat roof and siding done and it looks amazing. Ready to get started with your new roof replacement project? We'll take you through your options and help you get approved for your next roofing project. 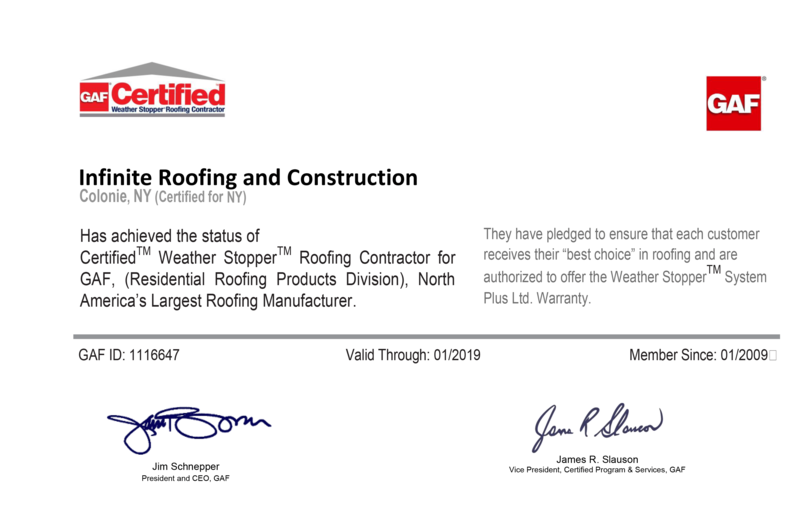 Because of our established relationship with lending vendors and our history of work, we're able to provide options that both guarantee financing and meet the best possible interest rate you're eligible for, up to and including 0% interest for 6-12 months on your next roof replacement.